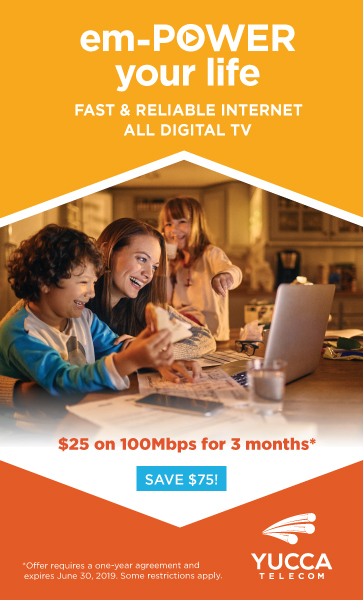 Bundle a TV package with Yucca’s high speed fiber connection of 100 Mbps or 1 GIG and save! Empower your life “Fiber is the Future”! Call us NOW 575-226-2255 for more information. *Some restrictions apply. Fiber service is not available in all of our service areas.